Mold is considered a bio-contaminant that is, in some cases, toxic to humans. Mold can mean a multitude of consequences for you, your family, and your home. From health implications to you and your family to diminished structural integrity of your home, mold puts everyone at risk. If you detect signs of mold development, you should contact a certified professional immediately to conduct a mold inspection. 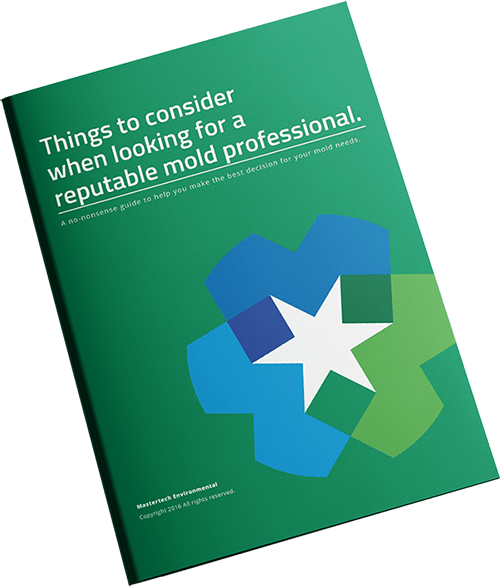 A reputable mod inspector will be able to determine if a mold problem exists, how many areas have been affected, how badly each area has been affected, and how best to approach removing the mold contamination. Proper mold remediation involves more than simply removing the mold. 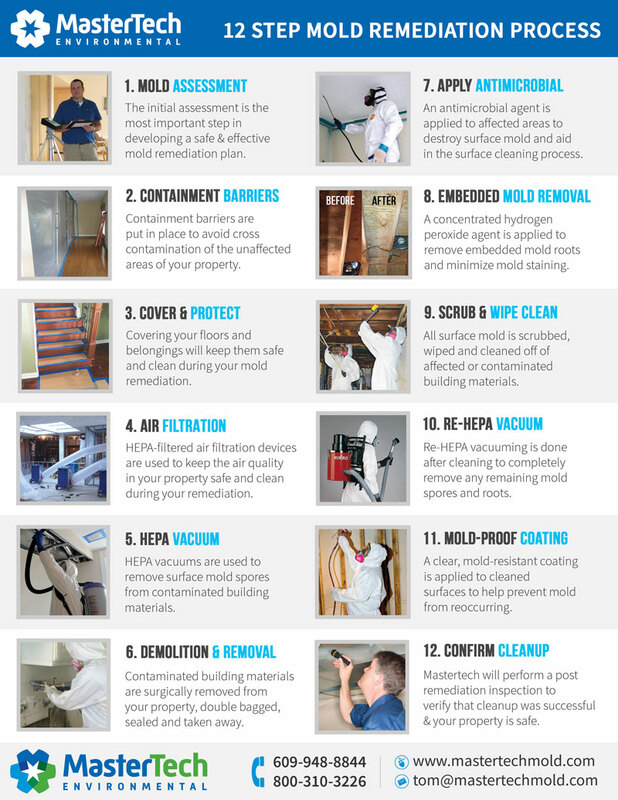 A reputable mold remediation company is responsible for uncovering ALL the problems related to and contributing to the mold issues, in addition to the mold growth itself. MasterTech mold inspections in Lumberton, NJ are designed to gather as much information as possible regarding the actual mold growth, the water source that caused the mold, and all mold and water related damages. After a thorough mold inspection, your inspector will be able to draft a detailed scope of work to properly address your specific mold needs. Extensive digital documentation of all our findings. Thermal imaging of areas of concern to understand the full capacity of the contamination. MasterTech’s top priority will always be safety and quality control. From your very first phone call or email to the last step of mold remediation and final recommendations, we will keep you and your family’s safety and best interest in mind. We take time to stress to every Mastertech employee that doing the job right the first time is not our goal – it is our standard. Every MasterTech employee is carefully trained and equipped with the necessary skills, knowledge, and tools to ensure we exceed your expectations. MasterTech will use all the information gathered during the mold inspection to develop a detailed scope of work for mold remediation in Lumberton, NJ. MasterTech implements the safest and most advanced mold removal tools, technologies, and techniques to safely and effectively address the mold and the problems related to and contributing to the contamination. As an extension of MasterTech’s commitment to your and your family’s safety and best interest, each MasterTech mold removal in Lumberton, NJ is backed by a 5-year mold-free warranty. It is the MasterTech promise that the mold is gone and it will not come back. When it comes to mold, getting the job done wrong can have serious and costly implications for you, your family, and your home. That is why, it is important to do your research and find a New Jersey mold removal company you can trust to meet all your expectations. Mold has the capacity to spread and development on virtually any surface. If a mold problem is left unaddressed, it will spread and contaminate clean, unaffected areas of your home or business. If you suspect a mold problem in your property, call MasterTech today to learn more about mold removal in Burlington County, NJ. If you are seeking mold inspection and mold removal in Riverside, NJ or mold inspection and mold removal in Springfield Township, NJ, a member of the MasterTech Team can help.